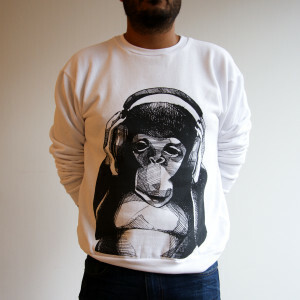 MERCH: Chimp Logo Sweatshirts + Captain Planet Ts // Holiday Sale! New merch just in time for the holidays! Our infamous Chimp Logo printed on ultra soft high quality crewneck unisex sweatshirts plus a brand new Captain Planet “mask logo” tee.